It only took one week of trying out a language app for University of Newcastle student, Alex Parkes, to decide that he wanted to pursue a career in linguistics. Now in his third year of a Bachelor of Arts, studying a double major in French Studies and Linguistics, Alex is fluent in almost three languages and has been invited to take part in the Campus France Australia Student Ambassadors Program. The program encourages scholarly mobility between the two countries by providing students with practical information about living and studying in France through the first-hand experience of Student Ambassadors. 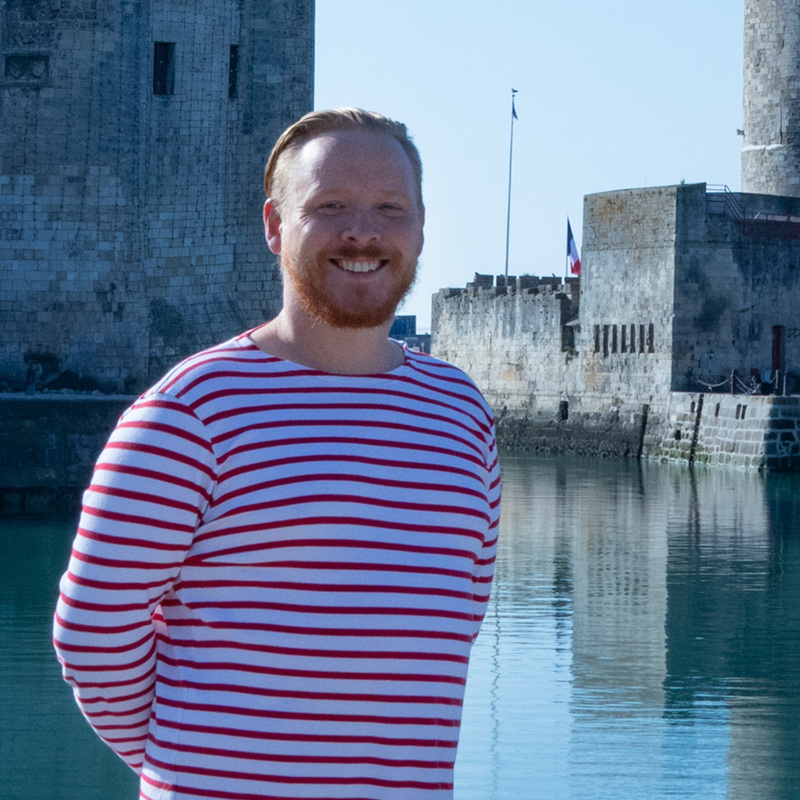 Alex is currently spending a semester in La Rochelle, a coastal city situated just an hour outside of Bordeaux, helping other potential students undertake or settle into a placement in France. What will you be doing as an ambassador and why did you want to be involved? As an ambassador I’ll be a walking encyclopedia for any students wanting to improve their French skills abroad. I’ll be sharing everything I learned from my life-changing experience, from practical information about getting from A to B, to educational tips to make sure that our students come back as fluent as possible. I wanted to be involved so that I could show people exactly how far they can go with their degree at the University of Newcastle and encourage them to have an experience as eye-opening as mine. What sort of opportunities will you get from the ambassador program? Immersing yourself in another culture with a program like this gives you invaluable experience. I cannot overstate the extra value it has given my degree. Future employers will now know that I have drive and that I can work independently, and I now have the skills required to work in any French territory and make lasting friendships with anyone I meet there. It also makes me a highly desirable candidate when applying for jobs in Australia. Being multilingual opens up the world. Have you done other exchange programs before and how did they enhance your studies? This is my second experience abroad after having done a short course in New Caledonia in 2016. Both experiences have greatly impacted my confidence to use the language I’m learning, as well as ensuring I can actually speak the language I’ve studied on paper for so long. What inspired you to want to study overseas and was it challenging? I was drawn to studying overseas by the wealth of knowledge it gives and knowing that it would put me in the best possible position to provide for my family. It’s the icing on the cake of my studies and consolidated all the information I’ve taken in over the course of my degree. It has definitely been a challenge and I think seeing the challenge as an opportunity for growth has kept me going. What do you enjoy most about your degree? The access it’s given me and having a greater understanding of the world around me. The constant encouragement and wealth of knowledge of my lecturers has been an invaluable asset and was what put me on the path to studying abroad to make all of this possible. There are entire countries full of people I now have the ability to communicate with, and places I can visit for work or fun without the anxiety of having no voice. Immersing yourself in another culture with a program like this gives you invaluable experience. I cannot overstate the extra value it has given my degree.